Fans of oatmeal need no encouragement: it’s delicious and cozy, it’s filling, and it’s really good for you. If you’re budget conscious, you also know that oats are economical, too. So a box of oats is a win-win all around and it’s about to get even better! Oats are great for more than just a typical bowl of oatmeal. Not that there’s anything wrong with a bowl of oatmeal! But why limit yourself to just that when oats can do so much more? 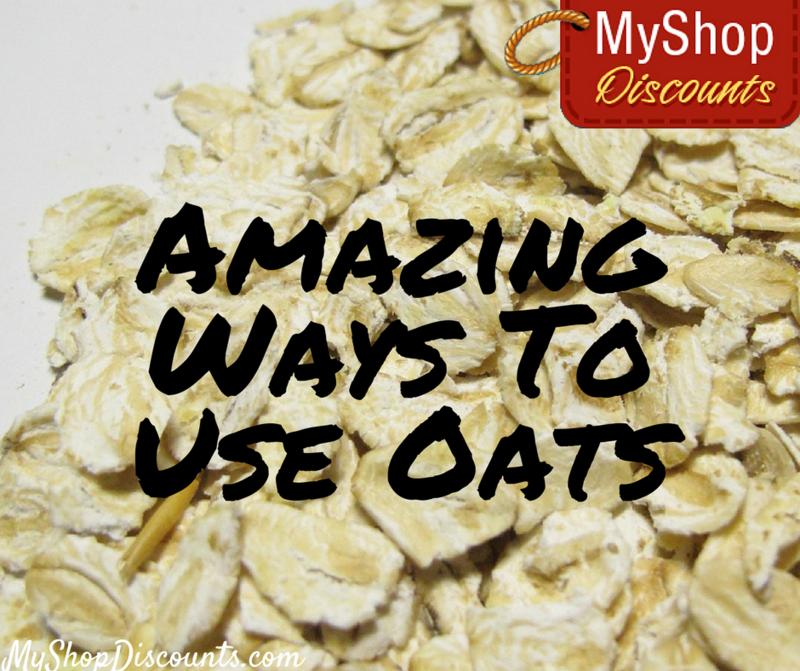 And they’re not just for eating, either- read on for new and amazing ways to use oats! Oatmeal: Okay, this one is obvious, and I couldn’t leave it out, but you can change it up every time you eat with different flavorings and toppings. For busy mornings you’ll love the convenient nutrition of overnight oats- try these delicious recipes. Granola: Not everyone loves oatmeal, but who can turn down crunchy granola? It’s a delicious and healthy breakfast option, as well as a smart yogurt or ice cream topping. Granola doesn’t get boring, either, because there are so many variations of it. And it’s easy to make your own granola, so give it a try. Check out these recipes for healthy granola. Cookies: Oatmeal cookies are great because, cookies! And also because you can eat them and feel like you’re eating something healthy! Here’s a delicious and easy recipe. Meatloaf: Get your whole grains and some texture by adding a cup of oats to your regular meatloaf recipe. Treat Acne: You can treat and prevent acne without applying harsh chemicals to your skin. Oatmeal exfoliates and prevents clogged pores. It also has microbial properties, which means it kills the bacteria that cause acne. Make a paste with oatmeal and honey and apply to your skin for a few minutes before gently rinsing off. You can do this regularly to keep your skin clear. Soothe skin: Oats are soothing for sunburn, insect bites, and poison ivy. Add oats to your bath for some relief. Face mask: Oatmeal is great for exfoliating and moisturizing your skin. Here’s a simple face mask that leaves your skin feeling extra clean and refreshed. Neutralize odors: Leave a bowl of oats in the refrigerator- or really anywhere- to absorb odors. And that’s just the oats; since you’ll be using so much of it, you’ll be left with lots of oat containers. Make the most of those, too, with these clever crafts!